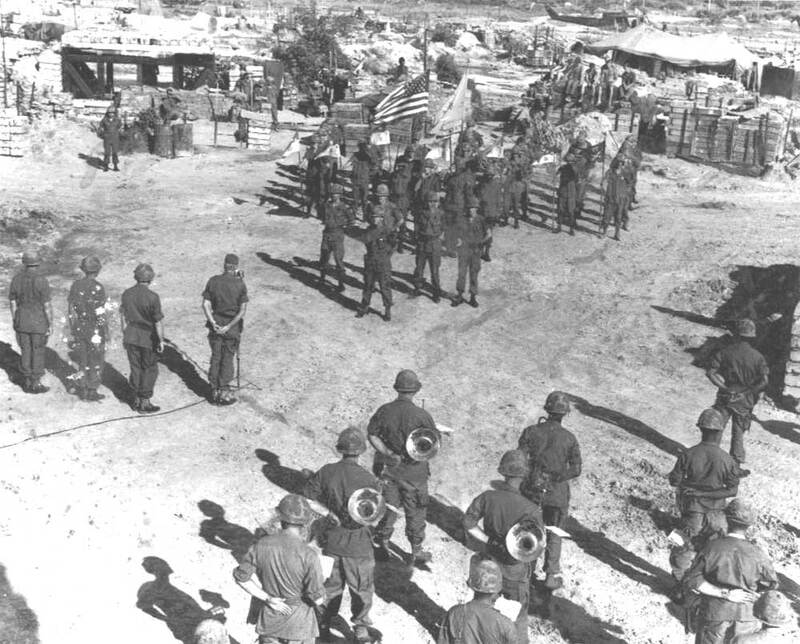 Little is known of this photograph, except that it was taken on LZ Ike on either December 9th or 14th. Originally, it was an 8 X 10 glossy black & white photo. Eddie Hancock found it months later when the battalion was based in Quan Loi. At the microphone is Major General Elvy B. Roberts, Commanding General of the 1st Cavalry Division (Airmobile.) (Source: J. D. Coleman) Supposedly. he was there to award the Distinguished Service Cross to a member of the 2nd of the 5th Cavalry. Most likely, that is his Huey in the background. Facing MG Roberts was LTC John Witherell and his staff, with representatives of each company behind their respective guidons. Most likely the ceremony took place on the log pad where the "Hooks" brought in artillery ammunition, water bladders, and other supplies. If you have any recollection of this event, please contact the Webmaster. Click on photo to see larger version. Have patience - it is a huge file. 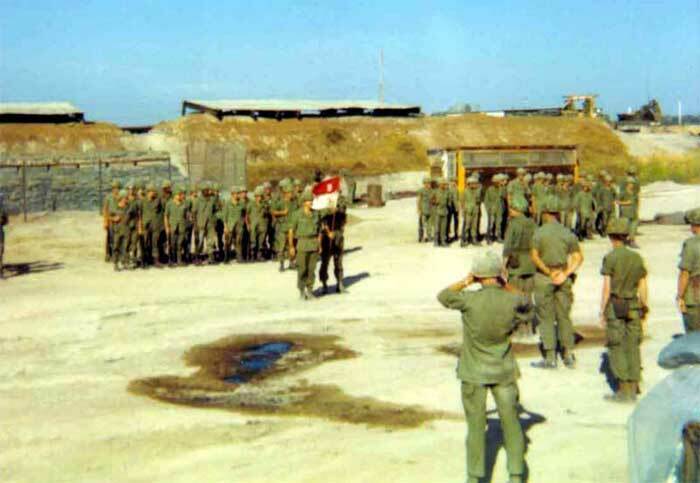 CPT Thomas A. Reich assumed command from CPT Joseph Kuykendall at LZ Barbara in Tay Ninh Province. In the top photo, CPT Kuykendall stands next to the guidon. Below, CPT Reich stands next to the guidon, with LTC Witherall and members of the battalion staff facing the company. 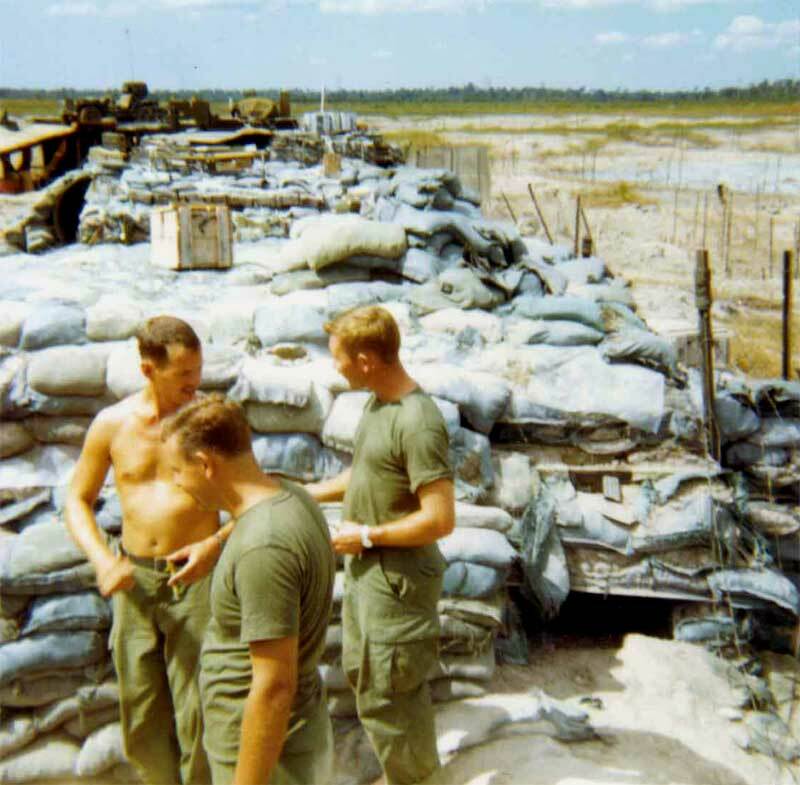 I took the pictures with an "Instamatic" from atop a bunker. It wasn't decided at this point that I would take over a platoon with Charlie Co. I recall that I was to have gone to Alpha Co after OJT with Lt. Phipps. 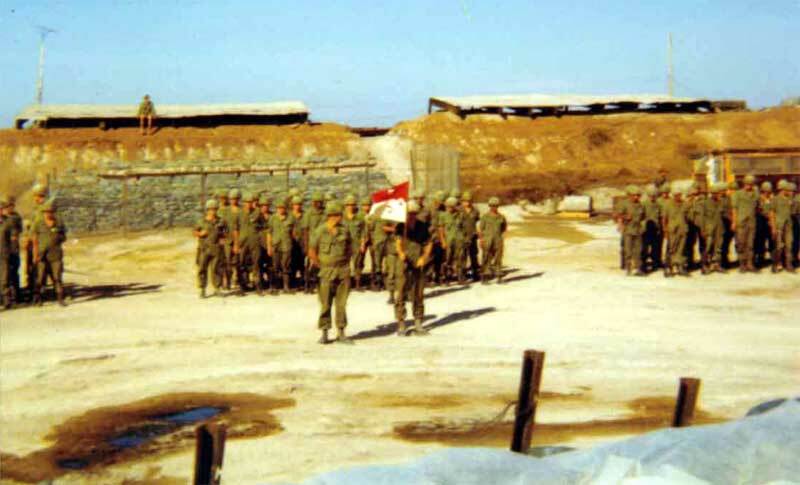 However, the battalion personnel situation changed and I took over 2nd Platoon a few days later. 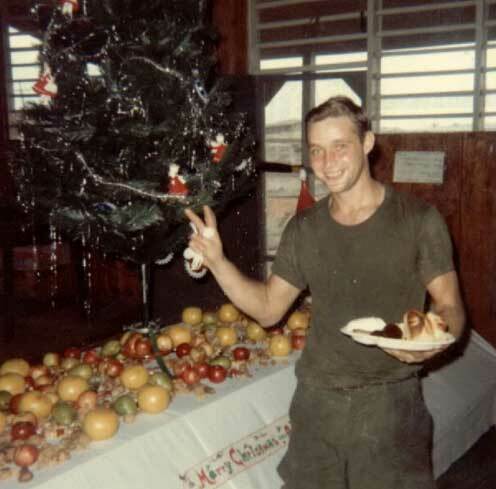 SP4 Russell Kielhorn at the Tay Ninh base camp, probably in the old Philippine Forces compound, just before Russell was allowed to go home on a hardship discharge. (Source: Mike Hayes) Can you tell what time of year it is? Russell had been wounded on October 6. 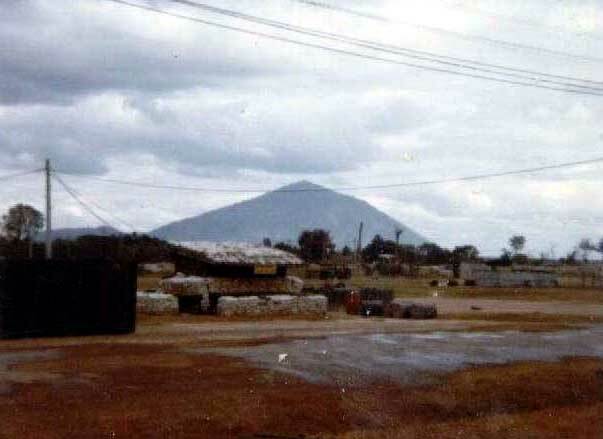 Nui Ba Den (the Black Virgin Mountain) taken from the old Philippine Forces compound.